When you book now through June 25, 2018 for travel now through December 22, 2018 you will receive up to 40% off and $200 in resort coupons based on your room category! You heard us right! 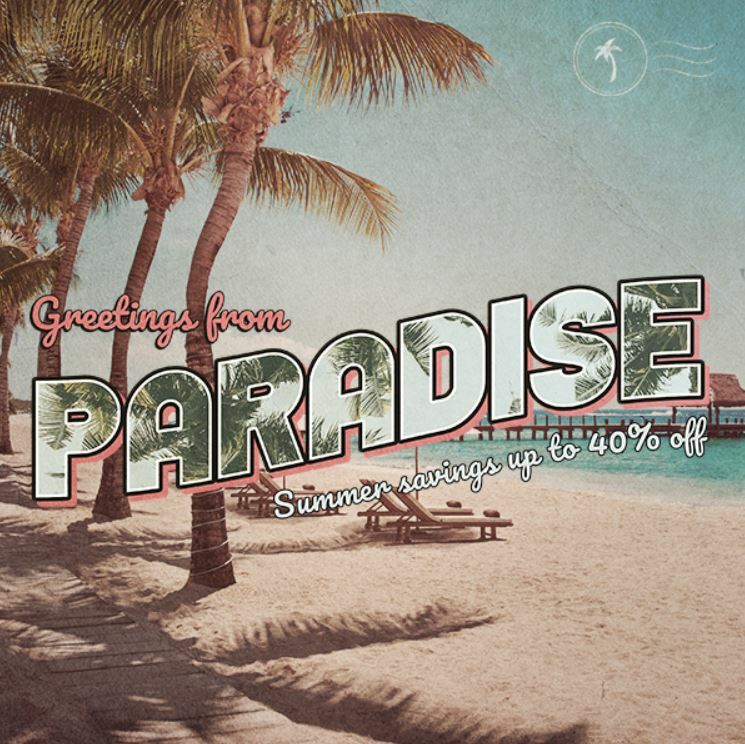 Greetings From Paradise allows you to get up to 40% off and $200 in resort coupons! That’s a deal you don’t want to wait on. Join us for some fun under the sun at Dreams Resorts & Spas! Ready for a getaway with the sun shining and a beautiful ocean view? Book today and join us for a vacation of a lifetime! Also, be sure to check out our special offers page for more great deals. This entry was posted in Dreams Resorts & Spas and tagged Dreams Resorts & Spas, Promotion, sale, vacation. Bookmark the permalink. If we are PLatinum United Vacation Club members, do we get 25% off that price? We were just there in Feb into March and would love to return.